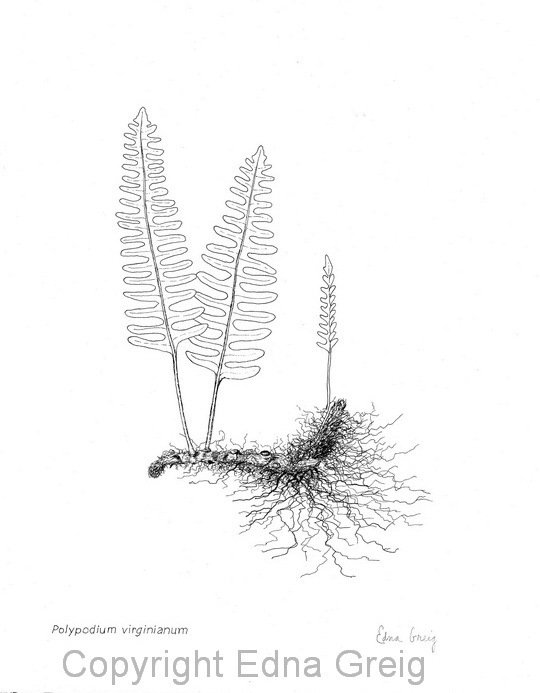 Common Polypody, also called Rock Cap Fern, is a common fern of rocky woodlands of eastern North America. The name Polypody means “many feet” and derives from the footprint-like scars that remain on the rootstock after leaf stalks are shed. 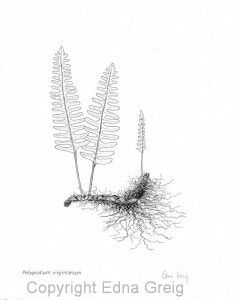 The name Rock Cap Fern comes from its habit of covering boulders with its rich, dense, matted growth.